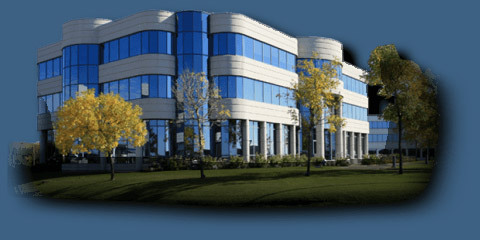 Business owners love saving money, while keeping their stores and office buildings productive and aesthetically pleasing. At John Barnes Window Tinting, our goal is to provide our customers with the latest in window tinting technology. We are happy to install window tinting for many retail and commercial businesses. Our window tinting is a great investment, as it can protect your store’s merchandise from UV damage, while blocking out the intense heat from the sun. This keeps your products from fading while lowering your energy costs. Not only will it save you money, it will create a safe and comfortable environment for both your staff and customers. Thanks to the state of the art window tinting technology at John Barnes Window Tinting, you can outfit your store with tinting that not only keeps your store cool, but maintains visibility. In fact, our window films can reduce heat generation by up to 85%. In order for business owners to keep their office buildings cool, they must invest a large amount of money in cooling elements. One of the easiest and most cost-effective ways to reduce cooling costs and protect against UV rays is with our commercial-grade reflective films. We have a variety of window films that can block up to 85% of the sun’s heat, depending on their strength and scale of the film. We are proud to serve all of our customers with our window tinting products and expertise. According to the International Window Film Association (IWFA), commercial window tinting is one of the easiest ways for businesses to lessen their energy expenditure. Whether you own a restaurant, doctor’s office, clothing store, or a law office, John Barnes Window Tinting is here to provide your business with professional-grade commercial window tinting products. Would you like to cut energy costs and increase your company’s bottom line? Contact us at John Barnes Window Tinting for your free estimate on commercial window tinting. We are happy to serve the community with our innovative and money-saving window films.